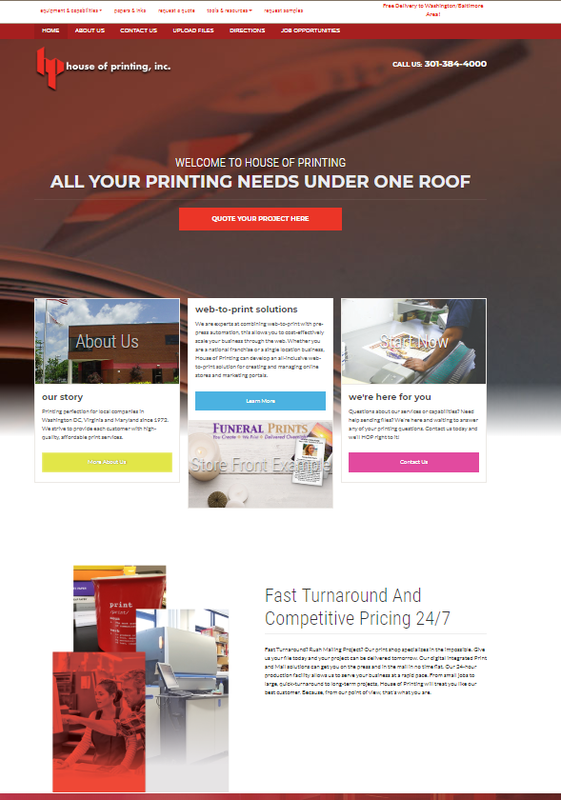 This printing company gets solid results using paid search advertising through the Top Placement Ads® (TPA) platform. Marketing 360® works with a printing company located in the Washington DC and Baltimore MD regions. Now, it would be excellent indeed to rank organically for printing related searches in each of these major cities. That would mean a great deal of qualified traffic coming in with no associated cost per click. But it’s not quite that simple. Ranking organically for searches associated with the names of large cities is a difficult SEO feat. This is made even more difficult by the fact that this business is not actually located in either city. So this business decided to invest their advertising spend on paid ads through our TPA® platform. 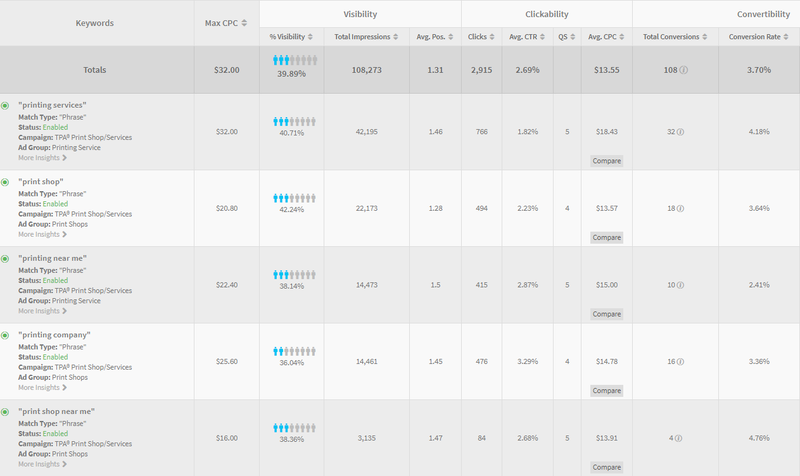 With paid ads, they have the ability to rank for high-value keyword phrases in these major cities without having an interminable wait to show up through organic rankings. 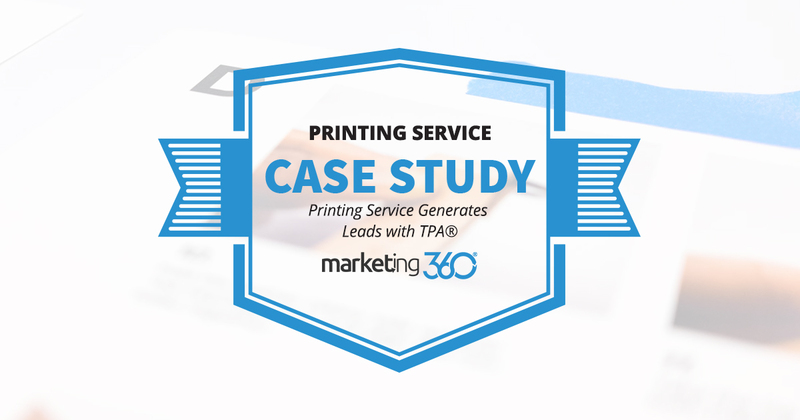 With TPA, they’re able to target phrase match keywords related to printing services and get decent exposure in these competitive markets. It is necessary to note that they are not in a position to dominate the market; their visibility scores are under 50%. This means their ads don’t show all the time due to budgetary constraints. 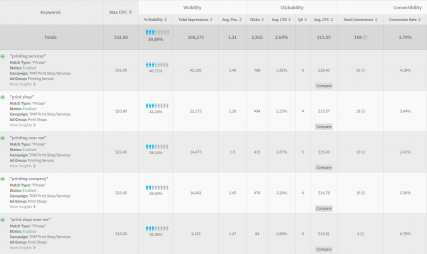 But with some smart bid adjustments that include bidding higher at certain times of the week when conversions are more likely and using remarketing lists for search ads, we’re able to get the most out of their budget. We continue to work on SEO results for this business, the but the focus is on several industry-specific keywords, including web-to-print services and foil stamping. When you have to generate leads in a competitive market, it often requires an investment in direct advertising. As this printing service knows, you can get strong ROI from these campaigns. Particularly when you have Marketing 360® executing the campaigns on Top Placement Ads®.